Traumatic Brain Injury (TBI) can happen to anyone at anytime, in any given circumstance. Yet our nation’s Military Members/Veterans have been affected by this occurrence time and time again by experiencing explosions, incidents on installations and ships, Military Sexual Assault (MSA) attacks, and more. The list does not seem to end. 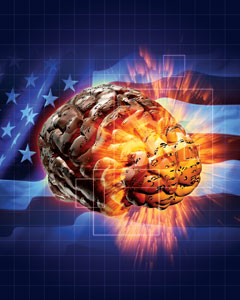 Veterans have been shown to experience TBI at a higher rate than civilian counterparts. According to the Defense and Veterans Brain Injury Center (DVBIC): “Active duty and reserve service members are at increased risk for sustaining a TBI compared to their civilian peers. 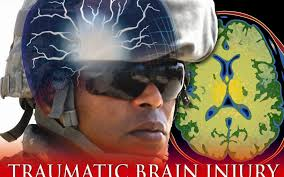 This is a result of several factors, including the specific demographics of the military; in general, young men between the ages of 18 to 24 are at greatest risk for TBI”. It is important to understand that the impacts of TBIs can be lifelong, and have been misunderstood and misdiagnosed by many, especially as it pertains to Veterans. A great deal of cases are confused with symptoms of Post Traumatic Stress Disorder (PTSD). 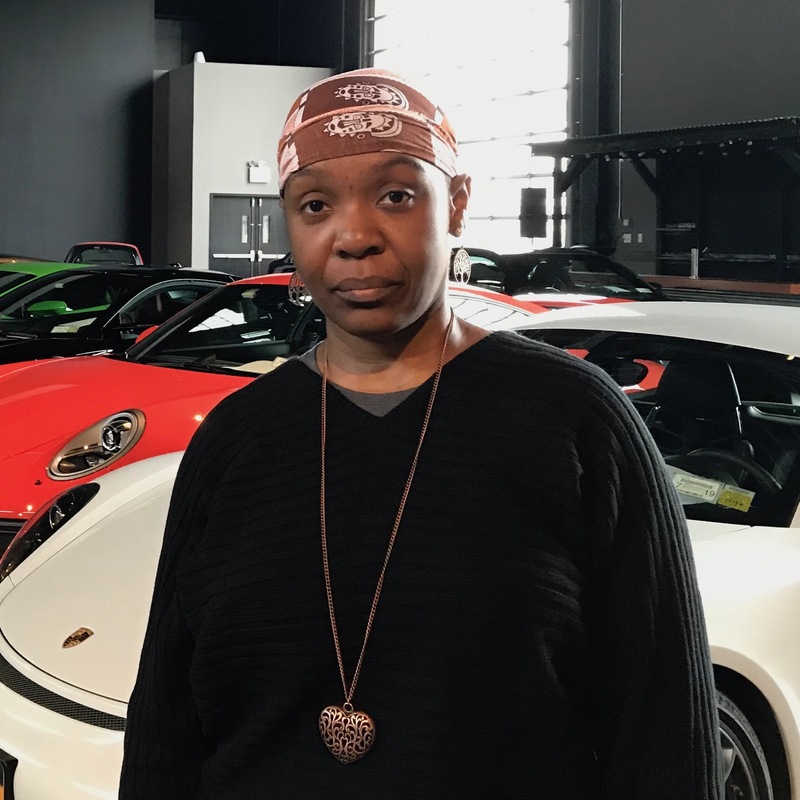 Even though we recognize Traumatic Brain Injury Awareness Month in March, it is important to view each month and day as a time for everyone to be aware of the impacts TBI can have, like decreased function and diminished capacity of part of the brain. I would even dare to call it “Who Am I?” This has nothing to do with forgetfulness, albeit a symptom, but has more to do with feelings of a loss of self, friends, experiences, and loved ones, yet they themselves may still be present. Invocation of anger, sadness, depression, financial difficulties, insecurity, broken marriages/relationships/families, inability to complete academic work in normal settings or at all, loneliness, not being understood, feeling threatened by life itself, isolation, feeling useless, and more. Why do I try not to use the acronym? Because when you say the words, the disability is not reduced to three initials and a pen stroke on a clinician’s notepad. It takes time to write out and hopefully more time is spent on correctly diagnosing and working to understand. I can comprehend that VA clinician’s may be overwhelmed and the hospitals and clinics over staffed. That cannot be an excuse we permanently accept. Does this bring a better meaning? Our work is cyclical and should never stop to improve the lives of our Veterans and their families affected by Traumatic brain Injury. The theme for the 2018 to 2020 TBI public awareness campaign is “Change Your Mind“. We could all use a mind change in some area of our lives. Why not start with changing our minds about Veterans who have experienced Traumatic Brain Injury and will Live with this experience. Here’s a perspective I would like to share with you: You are in a large chain grocery store and the power goes out, just before a backup generator kicks in. Suddenly the lights gently flicker, but do not stop flickering as you try to see the dimly lit items and people in front and around you. The lights come back on and there is a sigh of relief, only for the same thing to happen 10 minutes later. When you go to leave the store, the doors are locked and the manager has no idea where the key is and phones/internet don’t work. You lose your family in the store every time the lights go on and off. You are now trapped, yet fully aware. You have also experienced lapses of memory of why you were there and your tasks. This goes on and on. Then you wake up and realize it was a long scary dream. Veterans with Traumatic Brain Injury don’t get to wake up from their dream, because it is their reality. That is where our compassion and social change mindset must take over. Compassion breeds knowledge which breeds power which helps create more compassion and call to action. Being in combat can be difficult, but our nation’s veterans signed up for service to our country-serving and protecting. Fight to understand! Putting ourselves in the shoes of a Veteran and their family who live with Traumatic Brain Injury can empower us to push the Department of Defense (DoD), National Institutes of Health, and other federal health organizations to collaborate in a nation-wide effort to improve the lives of our men and women in uniform. Breaking the confines of three letters on a piece of paper in a 2 minute Neurological Consult will be a giant step toward better care and resources. The Aftermath: Simply put, the aftermath severity or lack thereof can largely depend on care received through VA Resources, Defense and Veterans Brain Injury Center (DVBIC) and permissions for Veterans to receive needed care outside of the VA, so life-long treatment and healing can begin. If you or a veteran you know needs help, IAVA’s Rapid Response Referral Program is standing by to assist. Reach out to us today.